Cyclic Olefin Copolymer, HDT= 150°C | Polysciences, Inc.
Cyclic Olefin Copolymers are high transparency, low specific gravity, high heat resistant and have excellent optical properties and superior water vapor barrier characteristics. Combined with outstanding stiffness/ strength and favorable sterilization properties, they have found applications ranging from FDA approvals for pharmaceutical and food applications to optical applications and electronics materials. 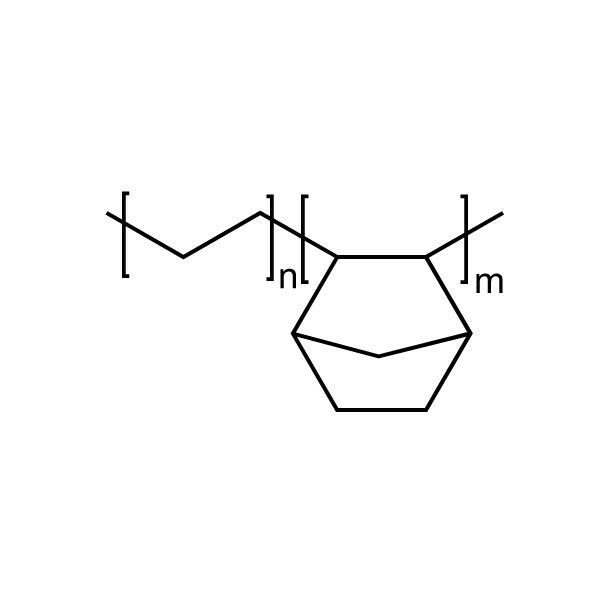 Whether used by itself or as a modifier for other resins, the ethylene-norbornene copolymer offers the optical clarity of polymethylmethacryate (pMMA), the heat resistance of polycarbonate (PC) and superior dimensional stability.